Have you been considering buying a unit in the Sunny Isles area? Trump Tower 1 has a substantial amount to offer, and it is easier than ever to buy. The first thing you want to do is get in touch with a real estate professional in the area that knows Sunny Isles and Trump Tower I. The agent will be able to help you go over your budget and let you know what units in the tower would be within your price range. They can also let you know about all of the different amenities and features in the units and in the building. Fortunately, you are able to choose from a wide variety of sizes in the building. Whether you are looking for a small space to retire with your spouse, or you want a larger area that can accommodate your family, you can find it at Trump Tower I. The building has an HOA to keep everything maintained and in order. The building has a spa, concierge, and a business center. It’s like living at a resort! 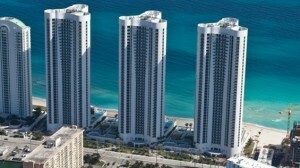 Get in touch with us today if you want to learn more about buying at Trump Tower I. You will love what it offers. In 2014 Lana became the #1 condo selling agent in Miami-Dade and Broward counties combined, out of 47,992 agents.